If your workplace isn’t clean, you could be in big trouble. In 2013, there were 61,077 non-fatal workplace compensation claims in Australia. And workplace-related injuries cost the Australian economy approximately $60 billion every year. As a business owner or manager, you have a responsibility to keep your workers safe. Occupational Health and Safety is extremely important, without keeping it in mind you may end up with injuries or even a death in your workplace. Keeping things clean should be a big part of your Safety Management Plan! If you have clutter blocking aisles, emergency exits, and fire exits, you’ve got a problem. It’s also common to see warehouses over-stacking loads on racks, which often brings them too close to sprinkler heads. This practice limits their effectiveness in an emergency. Standing water, leaks, and clutter can also contribute to falls, slips, and trips. Encourage staff to clean as they go, or consider a contract with an industrial cleaning company to reduce clutter. Some of the most common health hazards are due to improper use of extension cords. Discourage staff from “daisy-chaining”, which is the use of multiple power strips or extension cords for one device. Daisy-chaining can overdraw electricity from the circuits, making wires get too hot, potentially causing a fire. Extension cords lying around on the ground are also a big trip hazard. They’re also often run over by feet or forklifts, which wears down the insulation- creating shock hazards. At the end of a workday, cords should be gathered up and stored. Train workers to periodically check extension cords to make sure they’re in good working condition. And make sure they’re replaced when they’re worn out. Chemicals are often expensive, and in some industries, workers may not know when they’ll next need to use certain chemicals again. But thinking that way can lead to serious health hazards. Before you know it, you’ve built up hundreds of chemicals that no one wants or needs. It’s easy to overlook a small bottle of chemicals, but within a year, they can degrade and turn into explosive peroxide. It’s crucial that you have a chemical control system, and keep an inventory of all products, with expiration dates. Once that date arrives, the chemicals need to be either properly disposed or used. A health hazard that many people fail to consider is communicable diseases like the flu and colds. They can knock out a large portion of your workforce, and slash productivity for workers who try to work through it. Unfortunately, many business owners don’t discourage people from coming into work when they’re sick. Instead, some workplaces have an expectation that employees will haul themselves into work, no matter how bad they feel, or how contagious they are. One way to prevent sickness from spreading is to put a plan in place. Prepare for epidemics and ensure that employees can work remotely if they need to. It’s also a good idea to cross-train your staff. This practice will allow them to easily pass tasks onto another employee if they’re unable to work. Sure, it can cost you more time and money, but you create more versatile employees. If your employees operate forklifts, you’re probably well aware of this hazard. But one of the biggest issues with forklifts is when staff members are pressured to work fast. When employees are under pressure, they tend to take shortcuts. This can include driving with loads that are too large or driving while distracted. And the results can include hitting a rack, damaging the product or a wall, or even injuring themselves or a co-worker. Forklifts should be regularly inspected, and you should ensure that you have enough staff to manage your workload without cutting corners. Confined spaces can be one of the most dangerous health hazards around. Tragedies often occur when employers fail to carry out a risk assessment or issue a permit. When these assessments and permits are completed, employees won’t have any problems. But if you’re not planning correctly, you’re vulnerable to disaster. Poorly ventilated spaces increase the risk of serious injury or death. Before allowing entry into any confined spaces, consider whether it’s avoidable. If it must be done, make emergency arrangements and include proper training before employees begin work. The type of work your employees do, plus the working conditions and/or their body position can put a strain on their body. Ergonomics reduces the wear and tear on your employees’ bodies, increasing job satisfaction, improving efficiency, and reducing the risk of illnesses, short-term pain, and fatigue. Ensure that employees sitting at desks have ergonomic chairs, keyboards, and computers. Train employees doing repetitive tasks to do them in the best possible way to avoid injuries and strains. All businesses need to have smoke detectors and fire alarms throughout the workplace. You should also have a well-maintained sprinkler system and fire extinguishers. Consider having regular fire drills, so all workers know where they should go, and what they should do in an emergency. All employees should know where their nearest exit is, and you should ensure these are always kept clear. If your employees work around flames, they also need to be using fire-resistant workwear. As you can see, all of these health hazards we’ve mentioned are easily avoidable. 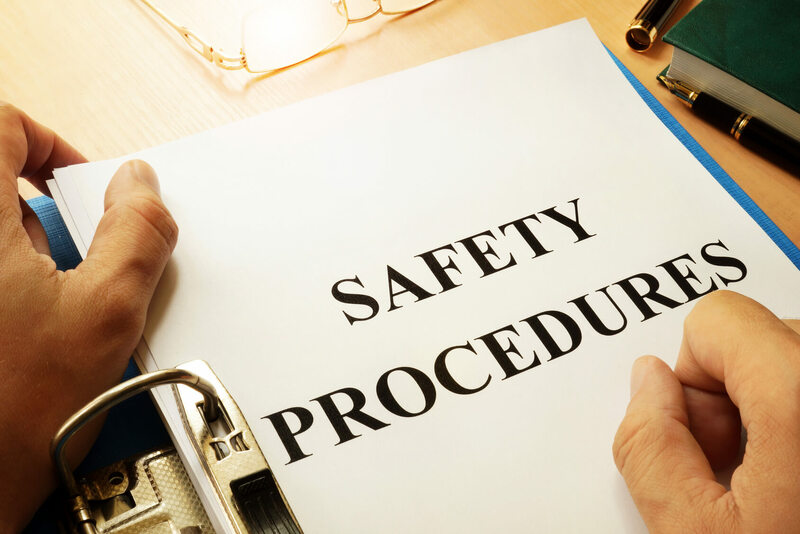 By completing regular checks, training your employees, and committing to a clean workplace, you can sidestep accidents and fatalities in your workplace. Keeping your workplace clean and tidy can be a massive undertaking, particularly if you have a large number of employees. That’s why it’s a good idea to hire a dedicated cleaning company to keep your space uncluttered. Get in touch today for a free quote, and see how much time you can save (and how many health hazards you can avoid) with a trustworthy cleaning company.